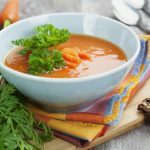 As vegetarians or vegans, one of the bigger “challenges” is ensuring that you get all the nutrients you need to feel energetic and stay healthy. I use the word “challenge” lightly — hence the quotation marks — because it’s generally not as difficult as your meat-eating granny thinks to get all the protein, vitamins and minerals you need to thrive. The general concern when going veggie is that you won’t get enough B12, iron, vitamin A, K, or DHA. There are supplements for all these things, and you can definitely enough through a well-balanced diet. When you’re pregnant, however, you need a little more than usual in order to support your growing baby, particularly when it comes to iron and folic acid. By eating the right foods and taking your prenatals, you’ll likely have no issues when it comes to getting what you need. With my first pregnancy, I was problem-free. I loved my pregnancy and had no ill effects, no complications, and felt great. Now I’m currently 7 months along with my second, and it’s not so care-free. I’ve got a toddler to keep up with, I’m working full-time, I’ve been on antibiotics twice for sinusitis (my daughter is in daycare, so whatever is going around hits the whole family! ), gotten the stomach flu, and the list goes on and on. The most concerning health issue I’m dealing with, however, is anemia. Yup, it got me. I knew I was feeling more worn down and exhausted than usual, but I chalked it up to being pregnant and darn busy. When my doctor called to tell me I had significantly a low ferritin level of 2 (the normal range — which is really quite broad — is 15-150), I panicked. How could this be, I wondered. 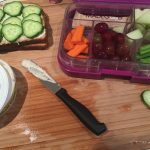 I’d been eating leafy greens, legumes, dried fruits, nuts and seeds, and really not doing anything different from my first pregnancy. Iron deficiency anemia during pregnancy is more common than you’d think. In fact, almost one-quarter (22%) of pregnant Canadian women are anemic. So what steps will your doctor take if an iron deficiency is detected? If not so severe, they will recommend you take a higher dose of iron along with your prenatals, such as Feramax 150. 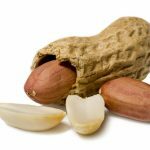 They’ll also ensure you’re eating iron-rich foods, such as leafy greens, dried fruits and iron-fortified grains and cereals. If your iron is really low, your doctor might recommend an iron intravenous, such as Venofer. This is what I had. It’s an iron sucrose that is injected slowly into your bloodstream via IV, and is much more readily, and quickly absorbed by your body than an iron pill. 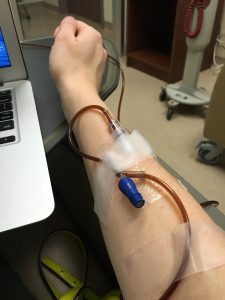 My iron IV took about 3 hours from start to finish — it was really quite painless. I had a comfy hospital chair, wi-fi access, and could rest or walk around the hospital floor while I had my treatment. Once the iron was completely administered, a nurse checked my blood pressure multiple times (a side effect of the IV is a sudden drop in blood pressure), and then that was it. Once I got home, I was exhausted and slept for a good part of the afternoon. The following day I had a bad headache and my exhaustion persisted, but otherwise I felt okay. Some people experience body aches and pains, vomiting or diarrhea, but luckily I avoided those symptoms. Now, I’m waiting for the iron to help me feel better, which I was told will take one to two weeks to really kick in. If needed, I’ll have one or two more Venofer treatments, but for now I’m hoping this one worked! Click here to read what you need during pregnancy to be, and stay, healthy.